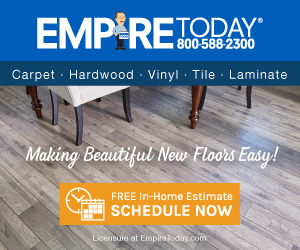 We are committed to upholding our reputation and achieve our vision to become America’s first and best choice for installed flooring. Customer satisfaction is our main priority, and we strive to leave a positive lasting impression from start to finish. Your concerns are important to us, and we understand that we have spoken to you in regards to your concerns, and are currently working towards a solution. We will continue to follow up with you until your concerns are addressed. NEVER AGAIN! If I could give negative 5 that would be the score they deserve. Customer service non existing, calls never answered, and never returned. Installers barely speak English, so if you have any point to get across, good luck. unless you habla Espaniol. Installation day. Arrived late. Removed old carpet and pad, never bothered to vacuum. Left staples in the sub-floor here and there, i can feel them when walking barefoot. Worked till after 9pm. In the result: seams coming apart after one week. On the stairs they left 5mm gap between edge of the carpet and wall trim. Two different crews sent in after to fix things up, came and gone without doing a thing, well they took pictures and spoke on the phone in Spanish. Then informed me they can't do anything because they don't have carpet with them. 42 days They coming back tomorrow, and promised third time is going to be a charm. Will update. I didn't like: Job quality, Poor customer service, Lack of communication. Review #1050401 is a subjective opinion of User1050401.